About Us - The Law Office of Charles Alvarez, Esq. An experienced and passionate attorney who'll fight for your rights. Charles Alvarez got into the legal profession because he loves to advocate for those that need help in getting a fair result. Born in New York City, and raised in New Jersey, Charles is a life-long resident of the area, and is intimately familiar with its people, places, and most importantly courts. Having grown up with a number of attorneys in his family, becoming a lawyer was a natural choice. While it may be intimidating to some, Charles relishes in his role as an advocate for those who need help – making sure clients get treated fairly and justly, that they get the best result they can, that they are well informed, and that they are not pressured into making the wrong decision. Being a solo practitioner allows Charles to know each client on an individual basis and understand what their concerns and needs are – this in turn allows him help clients make the right decision when they are faced with a legal problem. 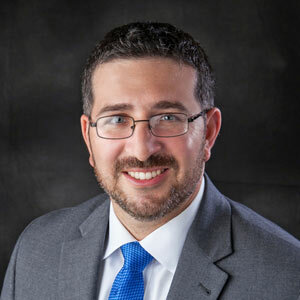 His connection to the community allows Charles to stay informed of any changes which may affect the lives or cases of his clients. His proximity allows him to be available on a short notice so that he can better serve his clients in need.